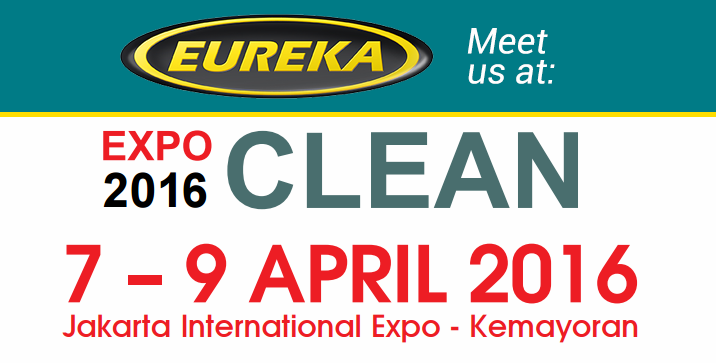 Both lines of Eureka scrubber-dryers and Eureka sweepers will be on display at EXPO CLEAN Show (www.expo-clean.com)., in Jakarta, from April 7th to April 9th 2016. Eureka’s booth is set up in conjunction to its Indonesian exclusive importer, PT Matra Duta, and we look forward to welcoming you during show days. Should you wish to attend, please contact Mr. Stefano Simonetti: ssimonetti@eurekasweepers.com. EXPO CLEAN and EXPO LAUNDRY 2016 will be held at the Jakarta International Expo, Kemayoran (JIExpo). JIExpo is located on 44 hectares-land, at the heart of the capital city of Indonesia. Due to its strategic location, JIExpo has become the number one choice for various trade exhibitions and is ready to meet international standard for an International exhibition and conference venue.